Cervical foraminal stenosis is the leading cause of pinched nerve symptoms in the upper appendages, including pain, tingling, weakness and numbness in the shoulders, arms, hands and fingers. The cervical foramen are small to begin with, as the vertebrae in the neck are close together. 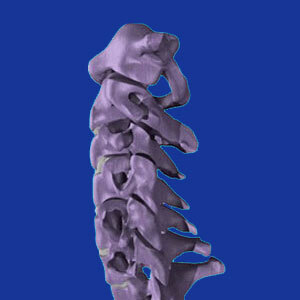 The intervertebral discs and bone structures are thinner, making these foraminal spaces the smallest in the human spine. It is no surprise that neuroforaminal stenosis is commonplace in the cervical spinal anatomy, with C4/C5, C5/C6, C6/C7 and C7/T1 being the most often affected intervertebral levels. This essay examines the role of narrowed neuroforamen in causing a diversity of possible symptomatic expressions in the neck, upper back and upper appendages. Stenosis refers to a reduction in the effective size of an anatomical opening. Neural foramen are the openings that allow the spinal nerve roots to exit the vertebral column and go on to form the vast network of neurological tissues in our bodies. Therefore, stenosis of the neuroforamen refers to a reduction in the size and patency of these vital portals. Foraminal stenosis unto itself is not a problem. It is only when the exiting nerve roots become compressed that any symptomatic issues may occur. It must be known that the process of foraminal narrowing is completely normal and universal. It is found throughout the spine, but is most prevalent in the lower cervical and lower lumbar regions. So, what exactly happens when a nerve becomes compressed in this narrowed space? Well, this is the subject of much debate in the medical and scientific sectors. Traditionally, most doctors and chiropractors have embraced the belief that a pinched cervical nerve will cause intractable pain until it is successfully treated. This theory has been used for decades to explain chronic neck and back pain in untold hundreds of millions of patients worldwide. This is rather ironic, since research science has demonstrated completely different and universally accepted findings in the laboratory and in clinical research projects. Truly compressed nerves will not continue to signal pain for long. In fact, they will cease signaling altogether. The resulting condition will be one of objective numbness and eventual weakness in the areas of the body which are innervated by the pinched nerve. This is scientific fact. Partially or occasionally compressed nerves might signal pain long-term, but these are very subjective matters and diagnosis is certainly a very unsure process indeed. Remember, pinched nerves can almost never be accurately imaged. All that can be seen on advanced diagnostic tests is the degree of stenotic change. The rest of the diagnosis must be made based on assumption and symptomatic correlation. 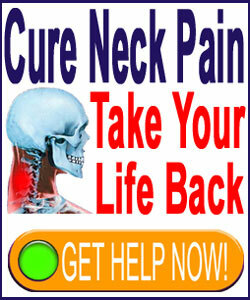 Neck pain is certainly a possible short-term consequence of a pinched cervical nerve root. Other symptoms may include pain, paresthesia and weakness in areas served by the affected nerve, including the shoulder, arm, hand or fingers. Remember that every nerve root correlates to highly specific and defined anatomical locations. This is why symptom correlation should always be handled by a trained neurologist. There is also much debate about the occurrence of subjective neck symptoms versus objective ones. Subjective means that the area might feel weak or numb, yet no actual sensory deficits are found to exist. Objective symptoms describe expressions that can be proven through nerve conduction testing and physical exam. Chronic compressed nerves should produce objective symptom patterns, while many subjective complaints are obviously misdiagnosed as stemming from normal degrees of foraminal stenosis in the cervical spine.